A story about turning oppression into opportunity. Take 18 minutes to watch this TED video from Sheryl WuDunn‘s talking about her book “Half the Sky” investigating the oppression of women globally. This is an unapologetic and shocking story. Thanks to Tiffany for sharing this video. 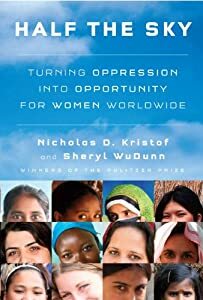 This entry was posted in Awareness, Child mortality, Girls and tagged Half the Sky: Turning Oppression into Opportunity for Women Worldwide, Sheryl WuDunn, Women's rights. Absurdity of Focusing on Outputs- Does Aid Matter?